Teacher presents! I was at a loss this year, it's always a difficult balance between budget and something meaningful, or useful. This year we went handmade. There would be loads of things you could make by hand that would make a lovely gift, I'd never recommend food though after talking to teachers themselves, unless you have a special relationship and you already know they love your baking. 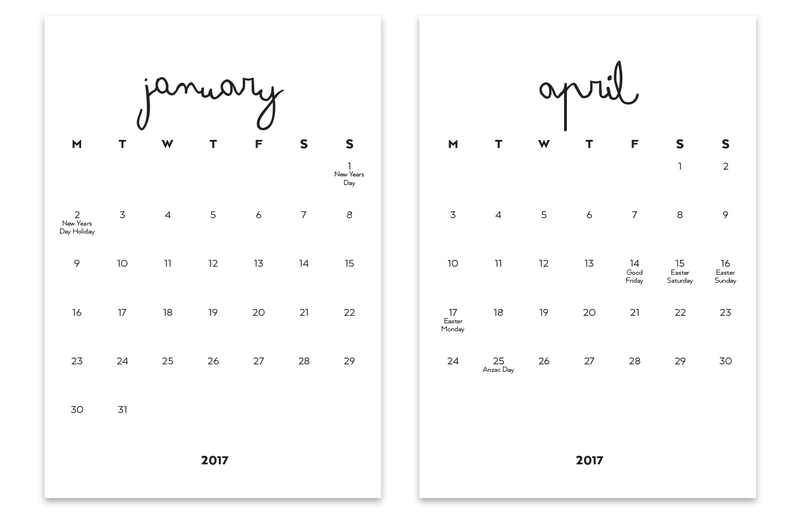 I decided to do a calendar, the Mr and I had already pulled together a calendar that we are selling locally, so I had the basic layout ready to work with. My idea was that the kids would customise the front covers with their own drawings. 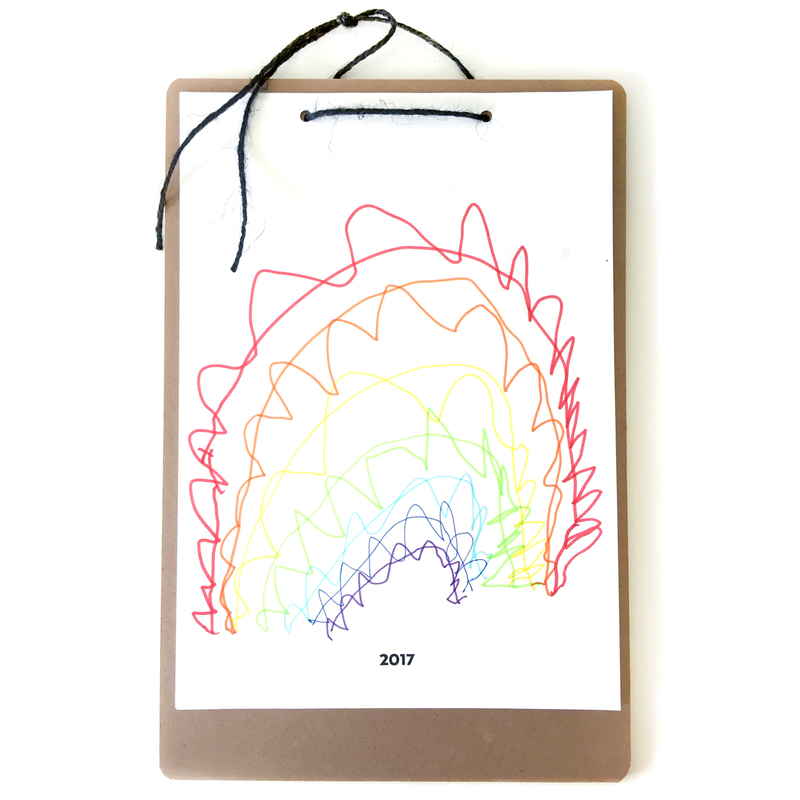 For my biggest, we scanned in an artwork he brought home, for my littlest, he drew a rainbow on each of the four calendars for his teachers. Big effort for a reluctant artist! And then I figured hey this might be useful for others, I'll pop up a quick blog post with a printable pdf. 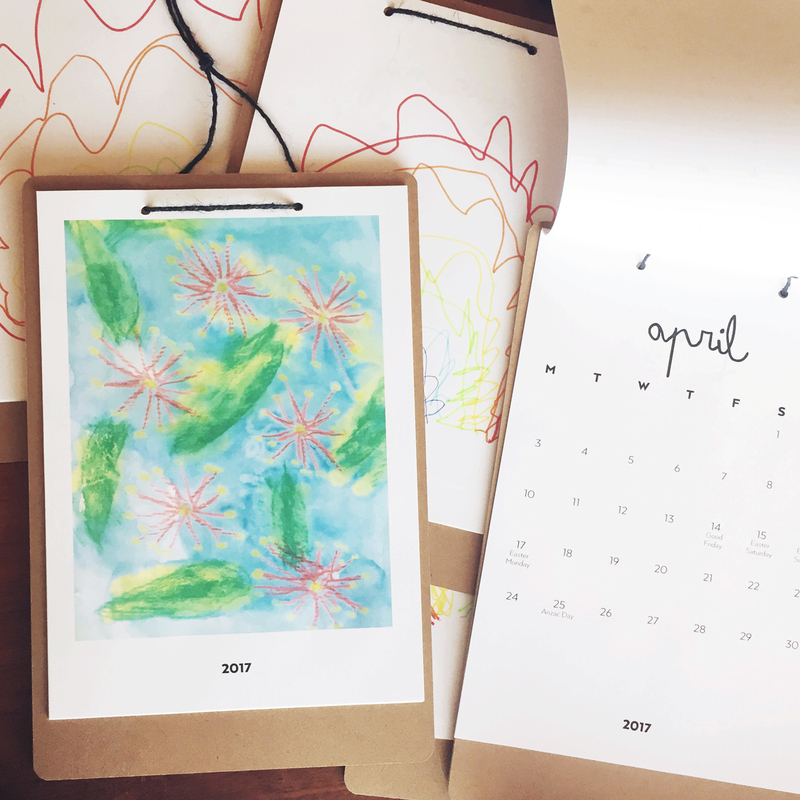 It's too late for teacher gifts, but this could be a summer project for the kids, they could make their own calendars for next year. Or for yourself, just don't bother with the cover page at all? 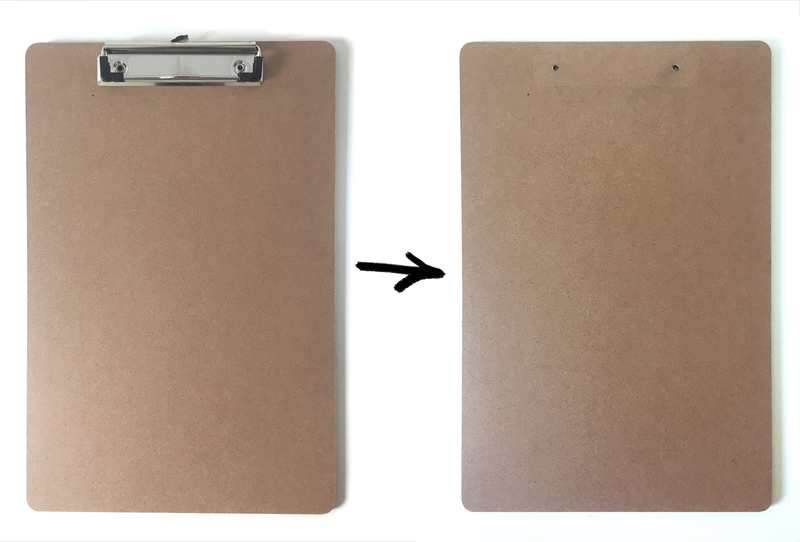 For ours I bought clipboards from Officeworks, then modified them. I didn't want all the pages falling out each time the month changed, and I wanted it to hang easily. Hey presto, I pulled out the Dremel, ground off the rivets and the whole clip section came off easily. Then it's just a matter of printing out your pages and customising the front cover. Take it to office works to print on heavier paper if you fancy, I ran out of time to do that myself! Download the printable pdf file here. They look great! I imagine grandparents would love this too.